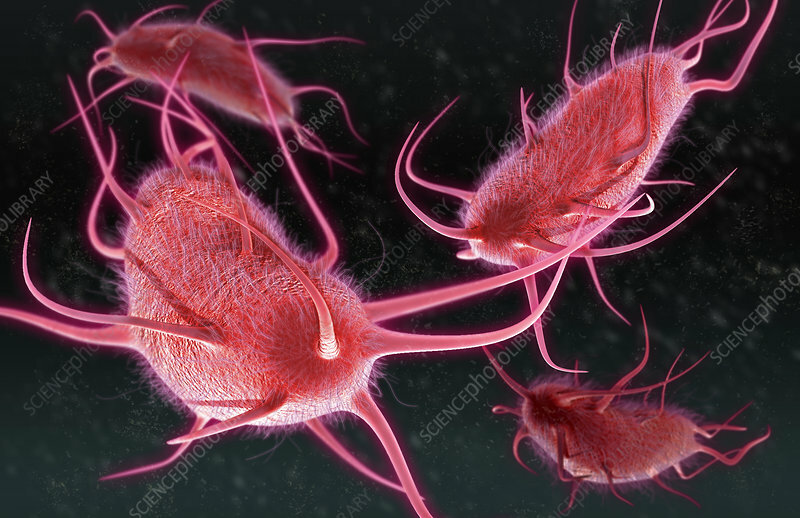 A 3D illustration of peritrichous bacteria, a species of bacteria with multiple flagella projecting in all directions. Flagella are tail-like structures involved in locomotion, and can be used to identify certain strains of bacteria. Salmonella and E. coli are examples of peritrichous bacteria.